$15 for the general public/ $13 for UVA faculty and staff/ $10 for students and free for UVA students in advance. 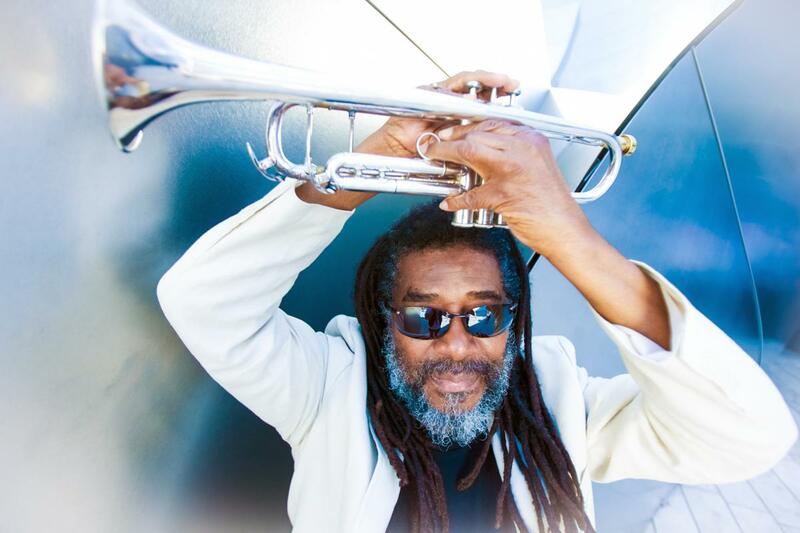 Iconic composer, trumpeter and Pulitzer Prize finalist, Wadada Leo Smith and his Golden Quintet – Smith, pianist Anthony Davis, bassist John Lindberg, drummer Pheeroan akLaff, and cellist Ashley Walters along with video artist Jesse Gilbert – will perform music from Smith’s masterwork America’s National Parks on Saturday, January 27 at the University of Virgina’s Old Cabell Hall as part of the school’s Impulse Festival. The performance is part of the group’s residency, which includes a public talk, a gallery exhibition of Smith’s Ankhrasmation scores, workshops by Quintet members and more. The performance takes place at 8 p.m. Tickets are $15 for the general public, $13 for UVA faculty and staff, $10 for students and free for UVA students in advance from the UVA Box Office. For a full schedule and more information, log on to http://music.virginia.edu/impulse-festival. The Impulse Festival is sponsored by the following UVA entities: Arts Administration program, Arts Council, College and Graduate School of Arts & Sciences’ Collective Response: Moving Forward committee, McIntire Department of Art, McIntire Department of Music, Office of the Provost & the Vice Provost for the Arts, Office of the Vice President and Chief Officer for Diversity and Equity, President’s Commission on Slavery and the University, University Programs Council, and WTJU Radio. Generous support was given by The Acquavella Family, Charlottesville Jazz Society, Gassmann Fund for Innovation in Music, Hampton Inn and Suites, Jefferson School African American Heritage Center.